I’ve definitely been on a curry kick. 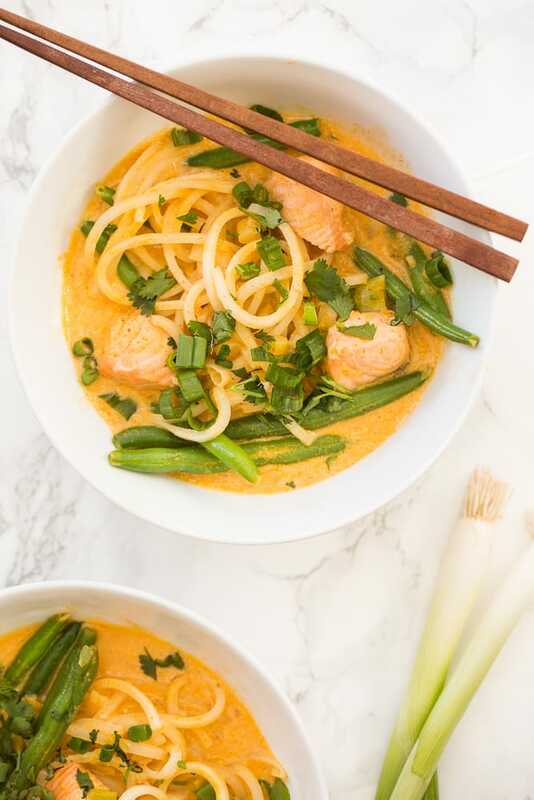 I’ve been remaking this green coconut curry recipe with different variations – with different proteins, over spiralized rice and with different types of spiralized noodles. 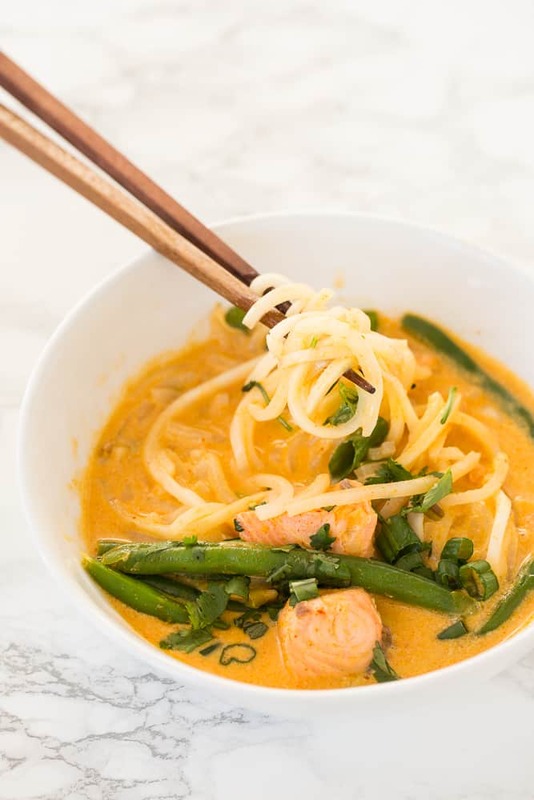 Once all of the ingredients are prepped, these curry noodle bowls come together so quickly, they save well in the refrigerator and they’re so filling and packed with nutrients. That’s the way I like to build my recipes – one size fits all. I’d like to think that there’s something for everyone in every single one of my recipes. 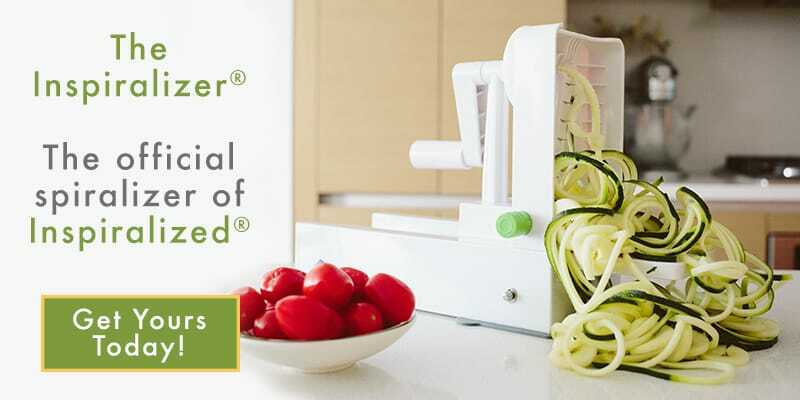 That’s the beauty of spiralizing! Just by swapping in a different kind of spiralized noodle, you have an entirely new meal. 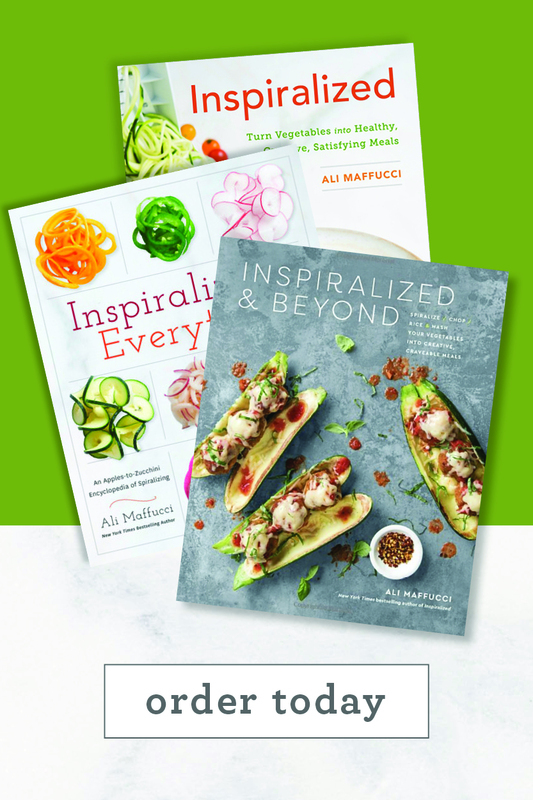 In the Inspiralized cookbook, there’s actually a section in each recipe that says “Also works well with” where I list other spiralized veggies that can be swapped in. 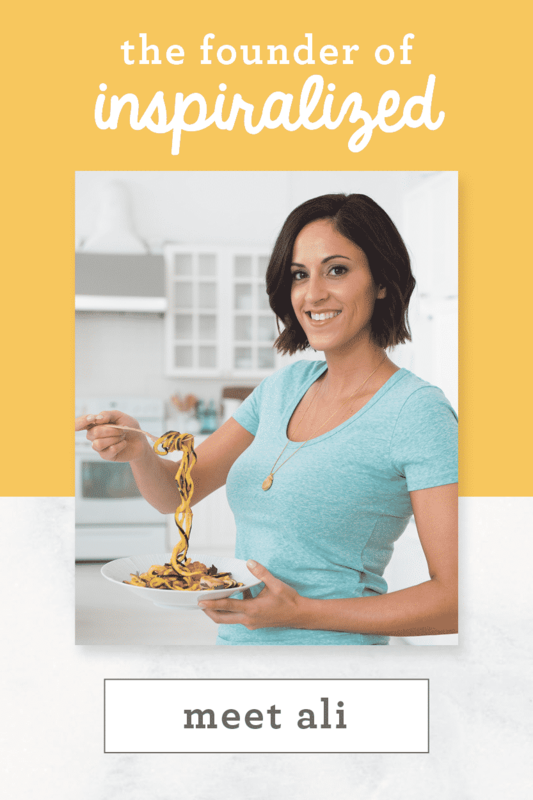 Therefore, technically, for every recipe in my book, there are also 3 more variations, making 3 entirely different meals! 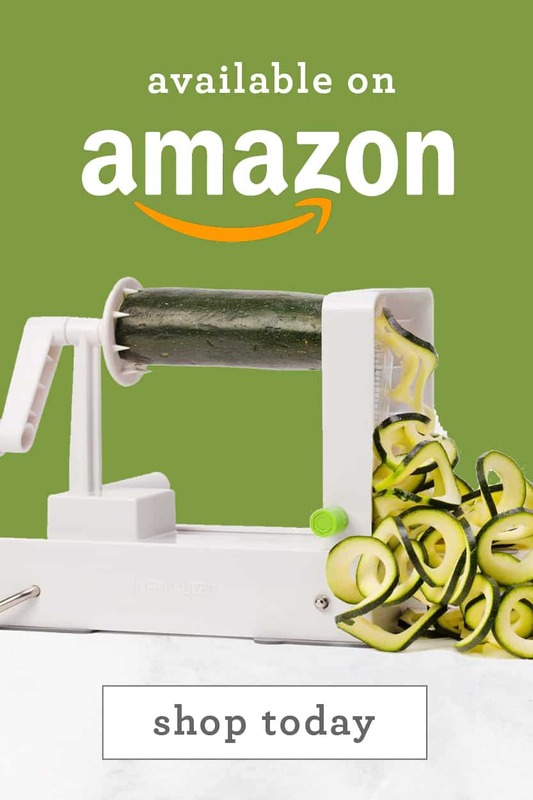 Also, I don’t know what’s going on, but Amazon has had the cookbook on sale for a couple weeks now and I don’t know when the price is going to go back up, so if you’re still holiday shopping, now’s the time. 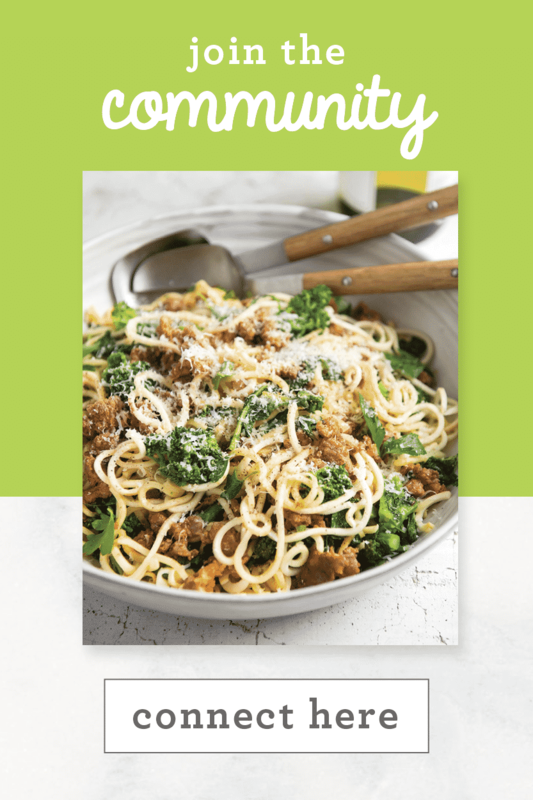 One of the other reasons I love today’s recipe is because it’s all made in one pot. Talk about easy cleanup! 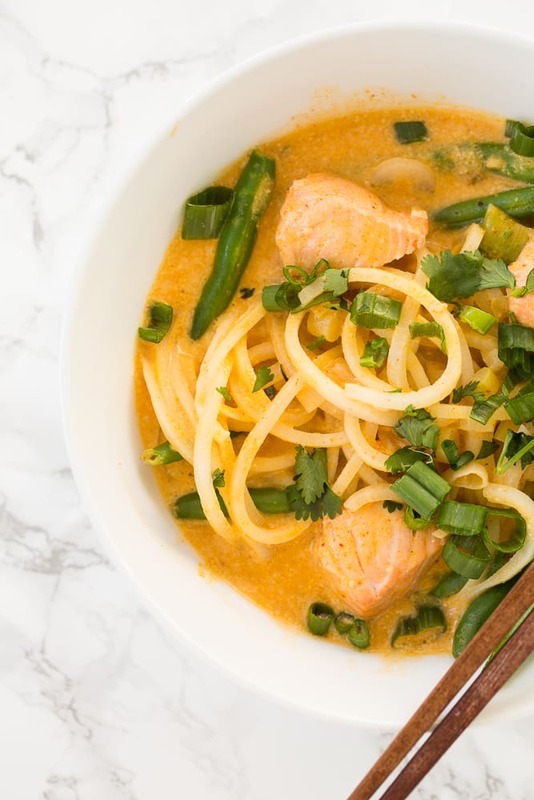 I never really thought to put salmon into a curry, but it was surprisingly amazing – the salmon gives the curry a robust flavor and it works well with the crunch of the green beans. Salmon’s one of my go-to fishes when I’m looking to make something with a nutritional bang. Salmon’s packed with protein and of course, omega-3 fatty acids which are touted to help with inflammation, lowers triglycerides (a blood fat that can lead to heart disease) and even helps with depression! 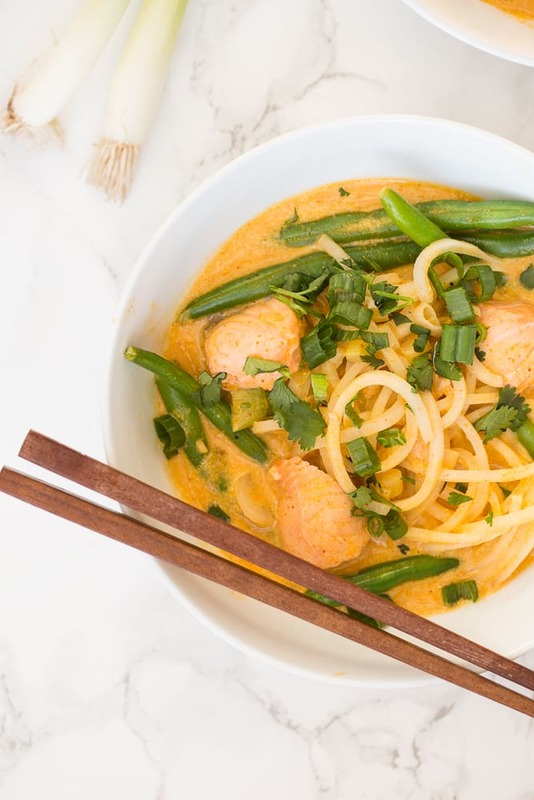 Needless to say, this bowl of curry is a powerful way to start your week! *These points were calculated using the official Weight Watchers PointsPlus® calculator. 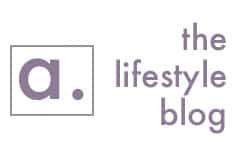 We are in no way affiliated with Weight Watchers, we are providing this information based on popular demand. Scoop the thickened coconut solids out of the top of the can of coconut milk, leaving the watery milk below. Add these solids to the skillet, stir to combine and let cook for 1 minute. Add the rest of the coconut milk, vegetable broth, stir and bring to a boil. Once boiling, add in the turnip noodles, green beans and salmon chunks. Reduce heat to a low simmer and cover and let cook for 5 minutes, uncover and test to see if the salmon is done – if it flakes easily, it’s done. If not, let it cook another 5 minutes. Portion into bowls and garnish with green scallions, cilantro or thai basil and serve. These ingredients are going on my shopping list today! Thanks for the tip about your book being on sale. 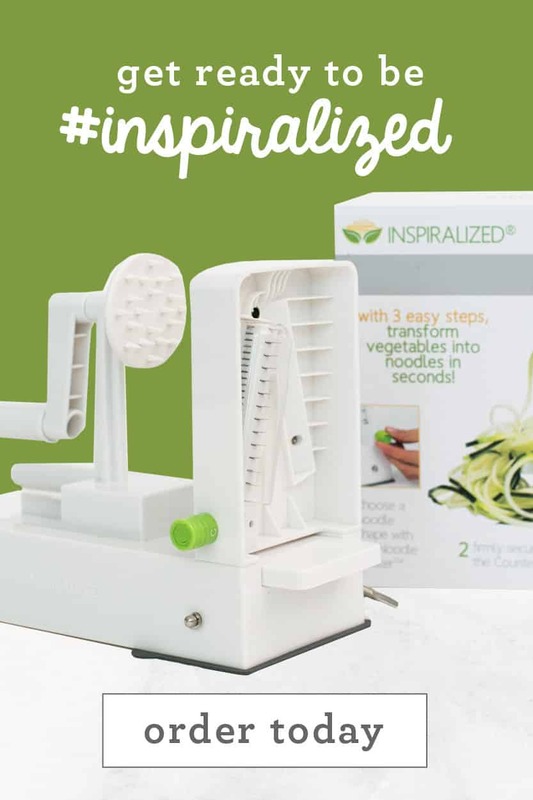 I've had my Inspiralizer since you first began selling your machine. Never bought the book, though, just save lots of your recipes. I've finished all my Christmas shopping. Now it's time for a treat for me! Yay! You deserve it, Mary Beth! You're going to love the book. 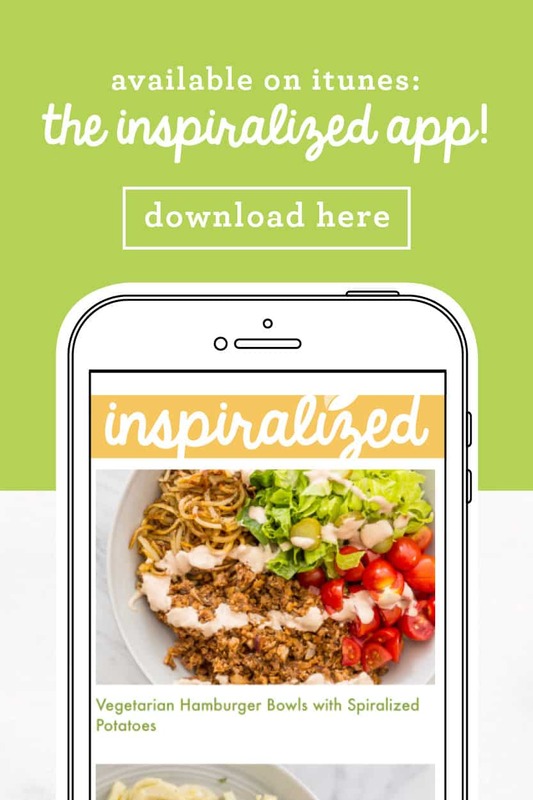 It's the perfect companion to the Inspiralizer. Happy Holidays! This looks so good! I've been loving curry during these colder nights, especially with a Netflix documentary on :) Also, turnip noodles are my FAVE. I'll have to try this with tofu. Thanks! Emilie!! You're preaching to the choir. Netflix doc + bowl of something hearty = perfection. We think it would be great with tofu. You're awesome. Thank you for the support. 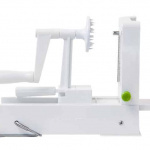 I get about halfway through spiralizing the turnip root and then the part at the handle breaks down and all it does is spin. I turned it around but after a turns it does the same thing and I have half a turnip that I can't spiralize. How do I combat that? It sounds like you aren't securing the turnip strongly enough into the spikes of the handle. Press very firmly to secure and then try again. It may help to slice the end off the turnip that got "stripped." If you have any other issues, email us at [email protected] Thanks! I am all about soups these days and THIS has everything I could ever want. Love the idea of salmon in there! Plus, curry!! Keep the curry coming, lady!! I am not a fan of turnips. What else can go in here? Are you sure about the calorie count? I would have thought a can of coconut milk (split four ways) would add more calories per serve. Should the salmon be cooked prior to adding it to the broth? I wanted this to be a main dish rather than a soup, so made the following adjustments: - used about 12 ounces of mahi mahi fillet chunks (because that's what I had on hand) - added 2 chopped carrots - reduced the broth to 1 cup - served over brown rice It made 3 main dish servings and was delicious! Definitely a repeat dish. Thank you for the great flavors. This is excellent! Thanks for sharing, Kathie!